Oklahoma landowners would be able to take to the skies to hunt feral hogs and other "depredating animals" under a bill signed into law by Gov. Mary Fallin. Fallin signed the bill Wednesday that’s intended to help landowners control growing populations of wild hogs that have become a problem in many rural parts of the state. The wild animals are known to tear up cropland, destroy fences and spread diseases. 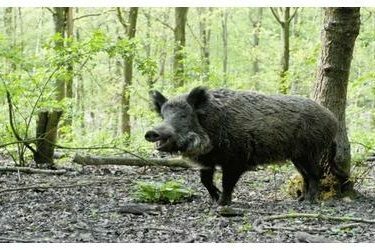 State law already allows the Oklahoma Department of Agriculture to authorize people with a big-game commercial hunting area license to hunt wild hogs and other depredating animals- like coyotes – from aircraft. The bill signed by Fallin expands the law to include landowners and those hired by landowners.